The following is an excerpt from this week’s edition of the USGS Hawaiian Volcano Observatory‘s Volcano Watch, with tips on viewing the Halema‘uma‘u eruption within Hawai‘i Volcanoes National Park provided by park rangers. 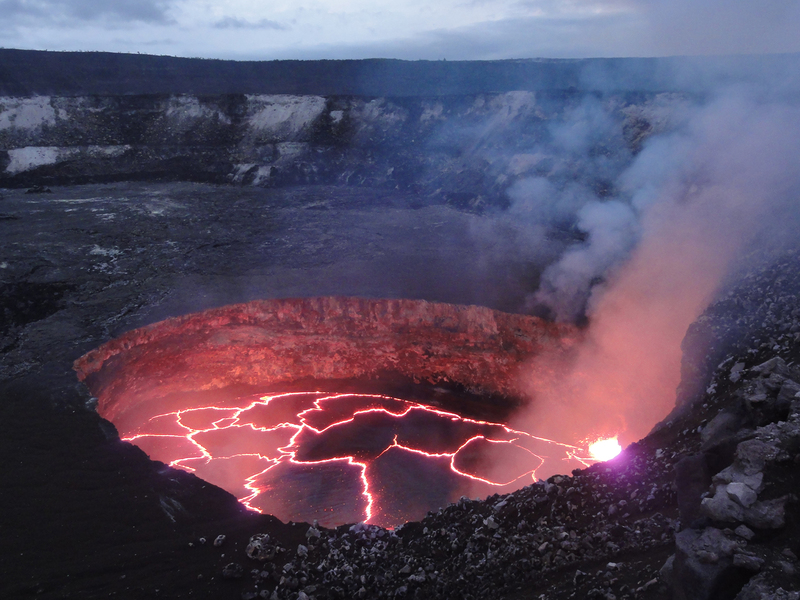 The lava lake within Halema‘uma‘u Crater at the summit of Kīlauea on February 1, 2014. USGS Photo. While Kīlauea Volcano’s East Rift Zone eruption at Pu‘u ‘Ō‘ō has been making headlines with the June 27th lava flow and its hazards, Kīlauea’s summit eruption within Halema‘uma‘u Crater has steadily continued in the absence of much press. However, the lack of media attention does not reflect on the eruption’s remarkable nature. I can’t find the link, how do I sign up to get new posts? Usually there is a “follow” link icon on the bottom right of your screen.